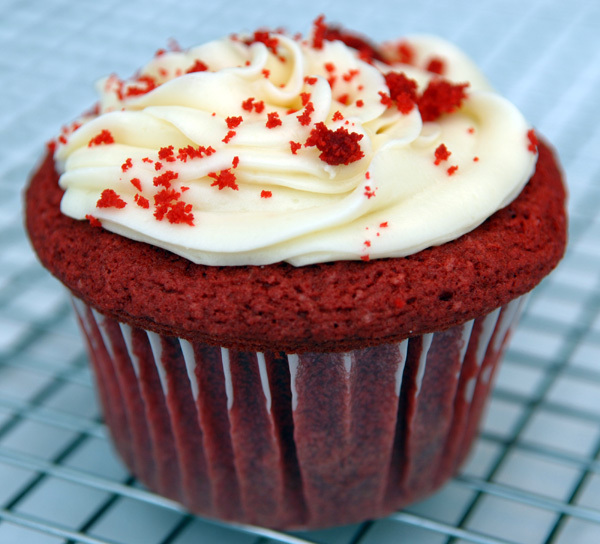 Our moist red velvet cupcake filled and frosted with cream cheese frosting and topped with red velvet crumbles. 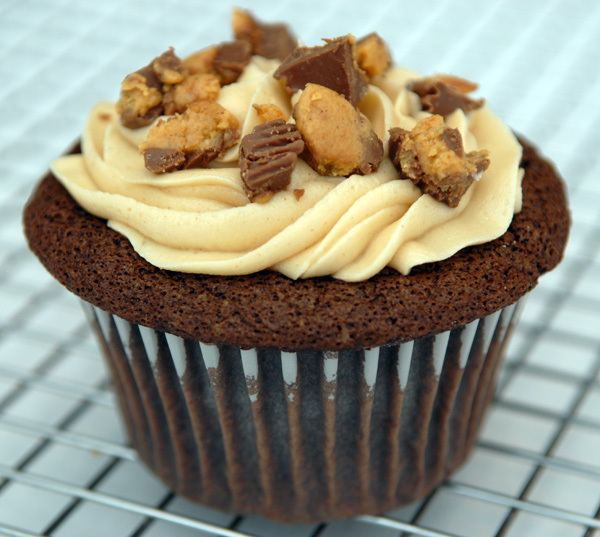 Our milk chocolate cupcake filled and frosted with peanut butter buttercream and topped with crumbled peanut butter cups. 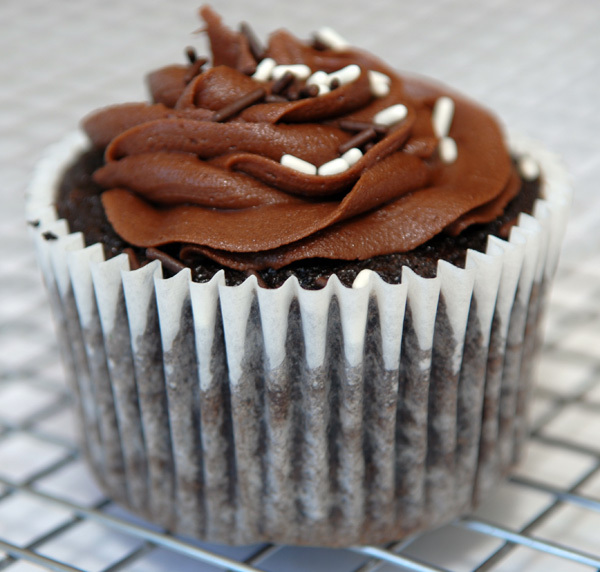 Our milk chocolate cupcake filled and frosted with chocolate buttercream and topped with black and white sprinkles. 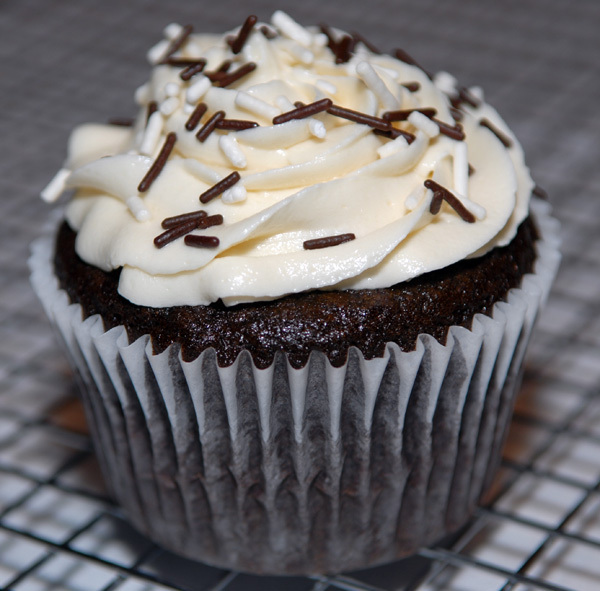 Our vanilla cupcake filled and frosted with chocolate buttercream, or our chocolate cupcake filled and frosted with vanilla buttercream, either one topped with black and white sprinkles. 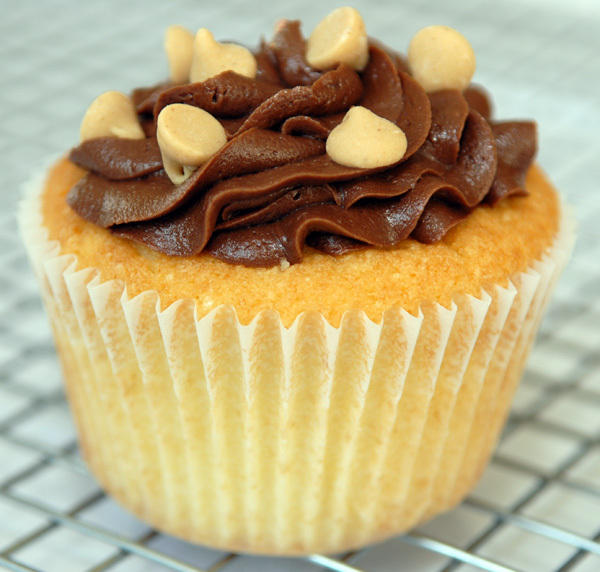 Our vanilla cupcake filled and frosted with chocolate peanut butter buttercream and topped with peanut butter chips. 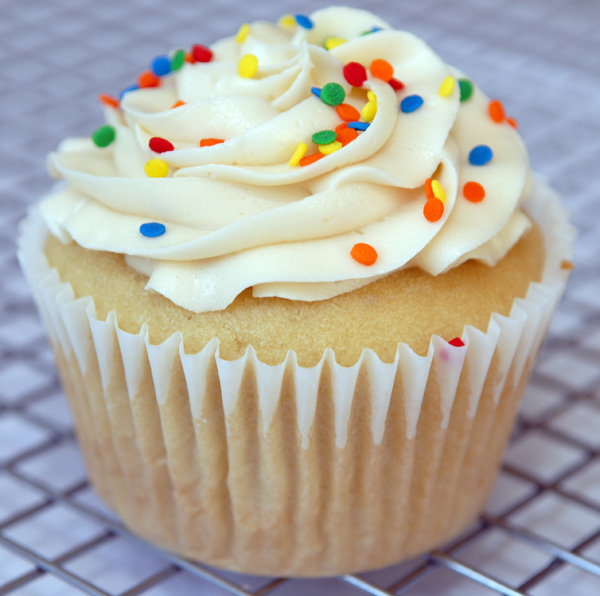 Our classic vanilla cupcake filled and frosted with vanilla buttercream and topped with confetti sprinkles. 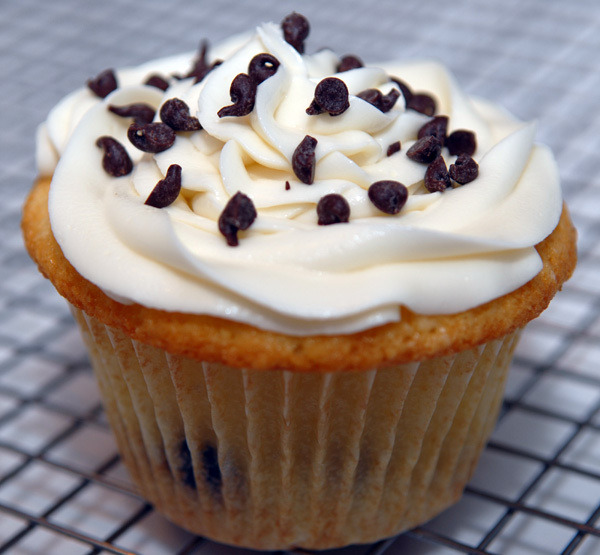 Our vanilla cupcake baked with rich chunks of chocolate chip cookie dough, filled and frosted with vanilla buttercream, and topped with chocolate chips. 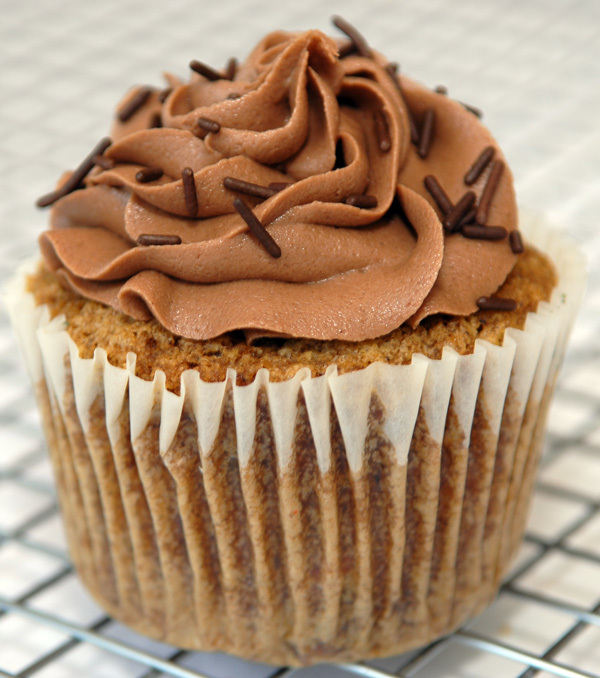 Our sweet banana bread cupcake filled and frosted with chocolate cream cheese frosting and topped with chocolate sprinkles. 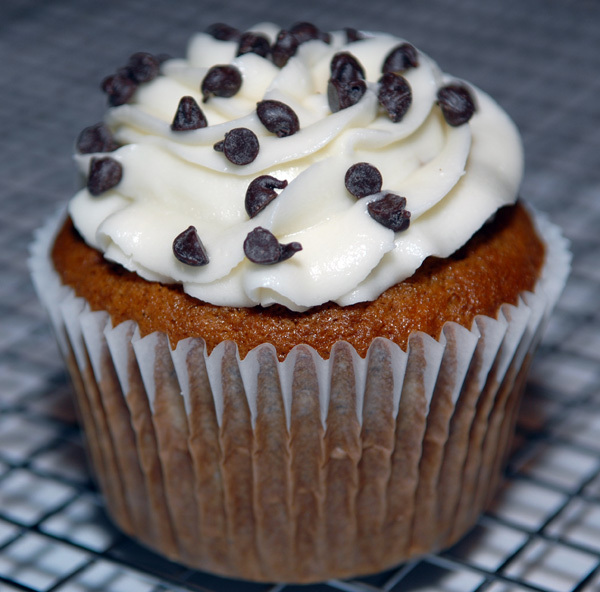 Our sweet banana bread cupcake filled and frosted with vanilla buttercream and topped with chocolate chips. 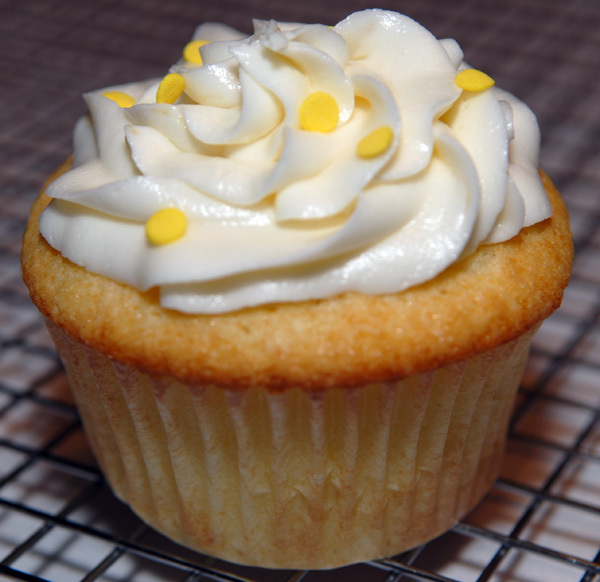 Our tangy lemon cupcake filled and frosted with lemon buttercream and topped with yellow confetti sprinkles. 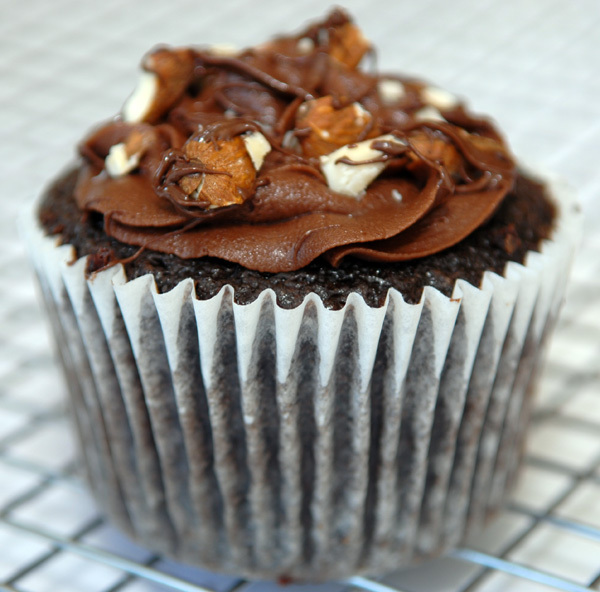 Our version of Rocky Road, our milk chocolate cupcake filled with marshmallow cream, frosted with chocolate buttercream, and topped with almonds and a chocolate drizzle. 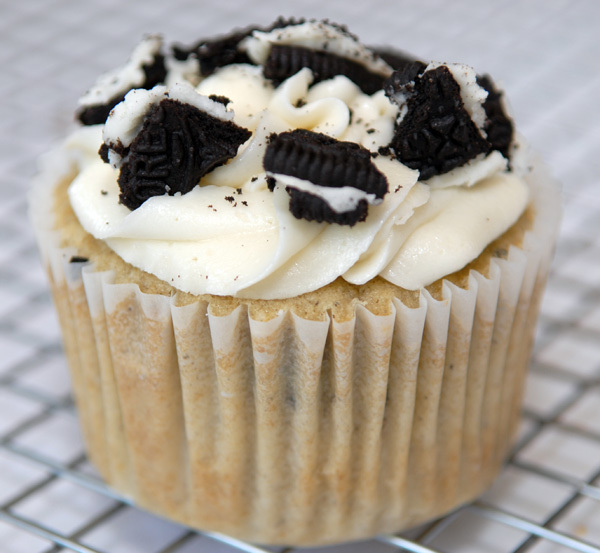 Our scrumptious cookies n’ cream cupcake with a buttery, chocolate cookie crumb crust, filled and frosted with vanilla buttercream, and topped with chocolate sandwich cookie crumbs. 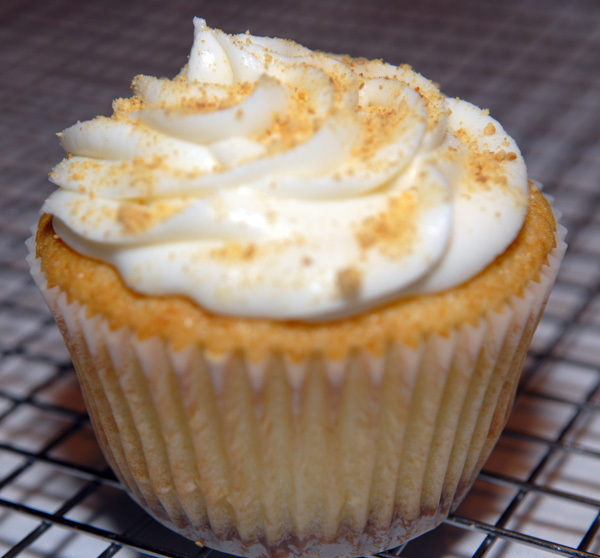 Our vanilla cupcake with a buttery graham cracker crust, filled with creamy key lime pie, frosted with key lime buttercream, and topped with graham cracker crumbs. 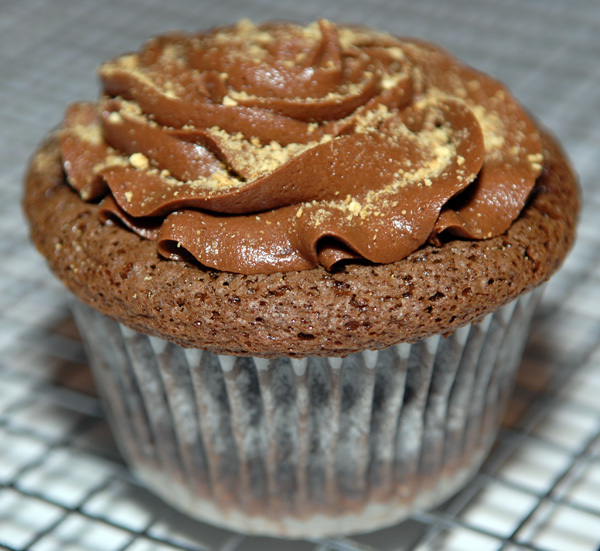 Our milk chocolate cupcake with a buttery graham cracker crust, filled with marshmallow cream, frosted with chocolate buttercream, and topped with graham cracker crumbs. 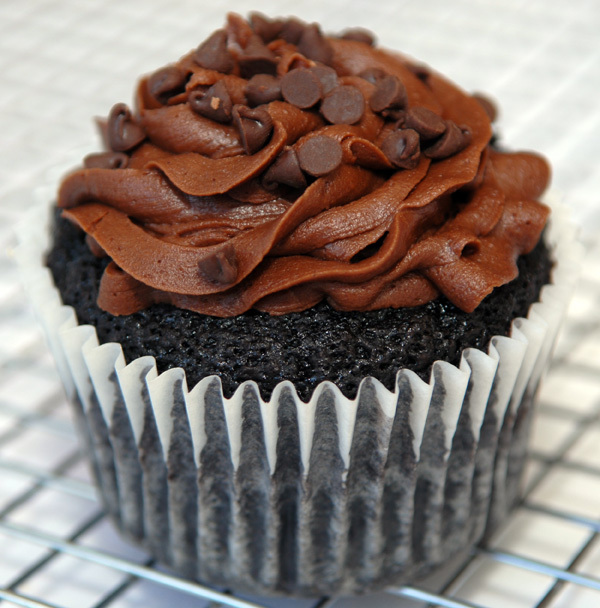 Our dark chocolate cupcake filled with a dark chocolate mousse, frosted with chocolate buttercream, and topped with chocolate chips. 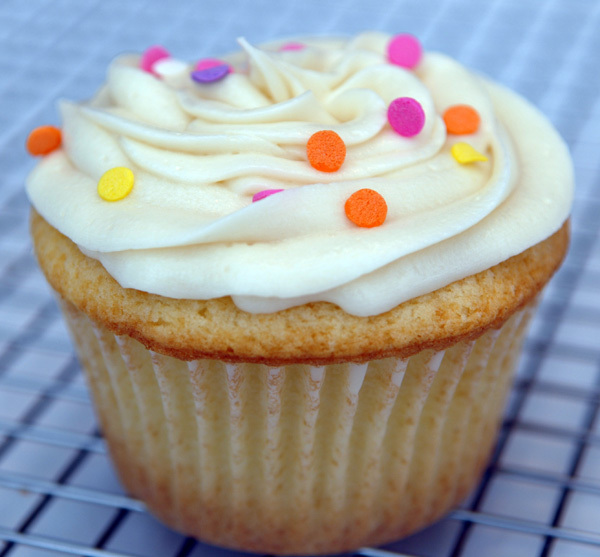 For those with allergies, our milk free / egg free vanilla or chocolate cupcake, filled and frosted with milk free/egg free vanilla buttercream, and topped with confetti sprinkles. We also have strawberry cupcakes, raspberry cupcakes, chocolate ganache and Italian meringue, chocolate with fresh whipped cream and strawberries and many other custom creations. We have cakes and cheesecakes too. Please call to inquire. That's how we guarantee they will taste so great! We need 48 hours to bake your cupcakes fresh. But you can always check with us if you need something quicker. We will accommodate all customers when possible. We also sell to various restaurants and markets around South Florida and can always direct you there. We do not have a minimum order on flavors that we're already baking. If you would like an assortment please inquire about what we are already baking when placing your order. We bake chocolate, red velvet and carrot nearly everyday. Most other flavors have a minimum of 6x for the jumbo size or 12x for the standard size. Stands may be rented for $10 each. We stock a variety of stands for both cakes and cupcakes and can make recommendations when you call to order. 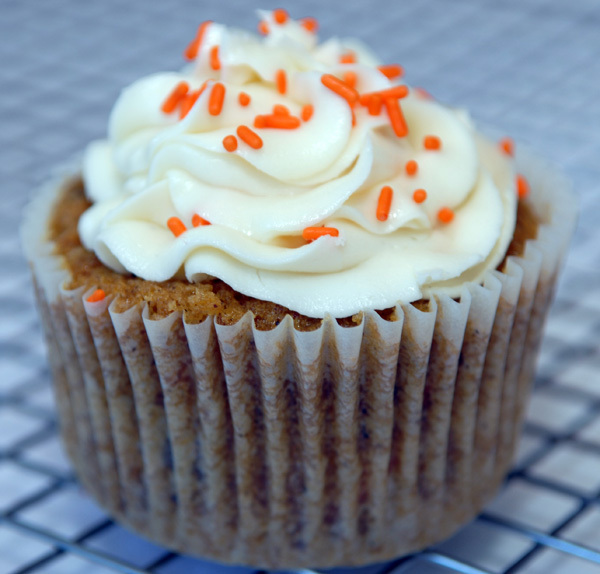 We offer many different ways to customize our cupcakes. We stock over 100 different toppings from sprinkles to marshmallows. If your looking for a custom flavor we will work with you. If you need a custom color that's ok too. 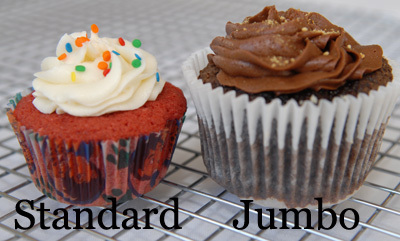 We can customize cupcakes to coordinate with a particular theme.